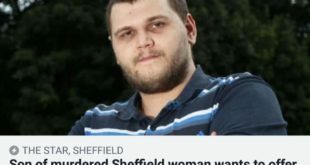 Two men aged 51 and 59, both from Sheffield, were arrested this morning, 15 October 2008, in connection with the death of Patricia Grainger in 1997. They are currently helping police with enquiries. 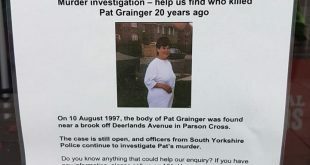 Patricia Grainger’s body was found in Parson Cross, Sheffield, on 10 August 1997. I cannot comment further on this topic. 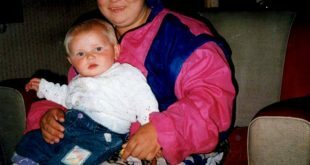 The website has reached the 200,000 hits on the counter over-night which i guess is from the media attention on the above topic. I like to thank everyone for their kind messages posted on the MSG Board reading these do help when being stressed with the situation so thank you.